This is definitely my current favorite Cook Smarts meal. 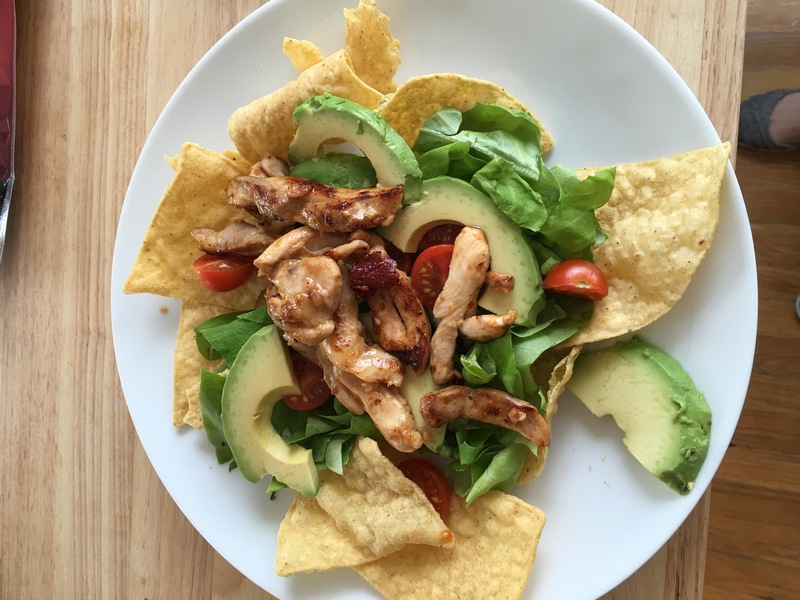 I love the flavor, simplicity and time it takes to make this dish! 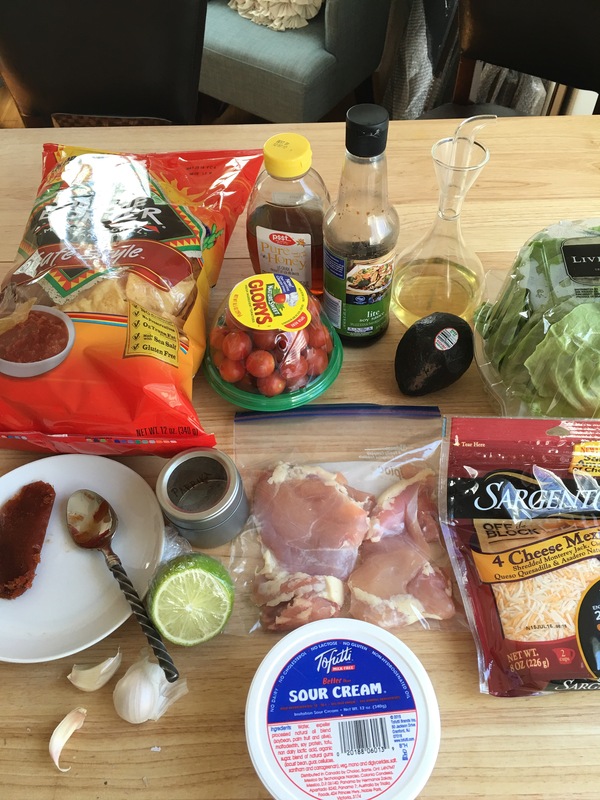 Basically, you mix the marinade/sauce- use half of it on the chicken as a marinade and half you add some sour cream and use it as a dressing! The biggest chunk of time on this meal is waiting 30 minutes (up to overnight) on the marinade! 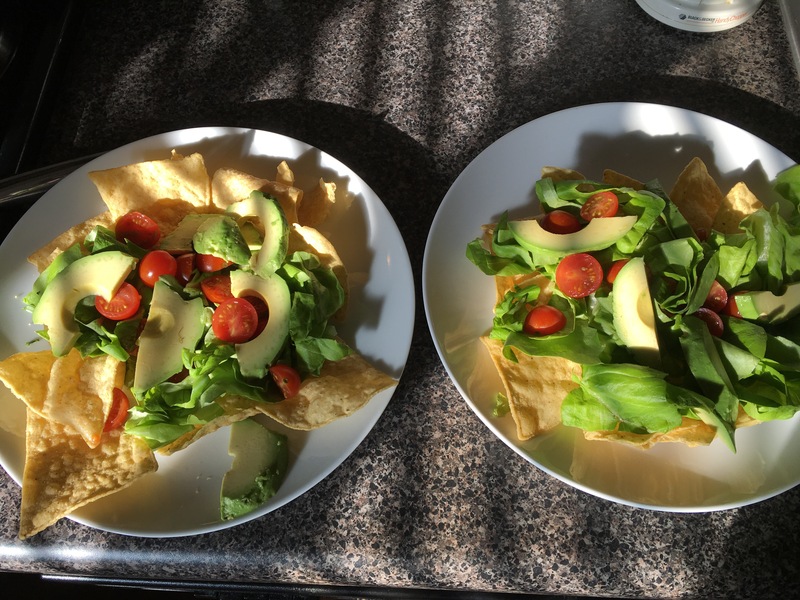 Avocados, fresh tomatoes, tortilla chips, our favorite bibb lettuce- yes please! 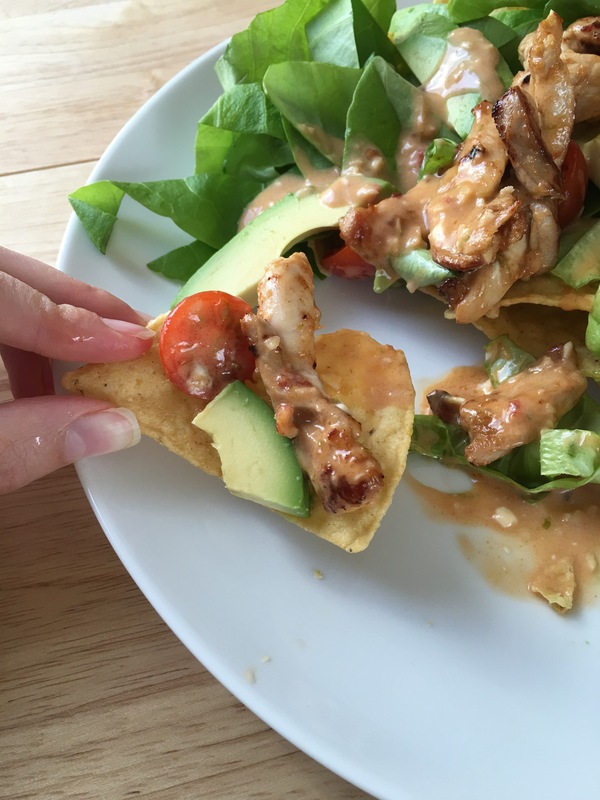 Marinate the chicken in a spicy chipotle pepper, adobo and lime sauce- yes please! 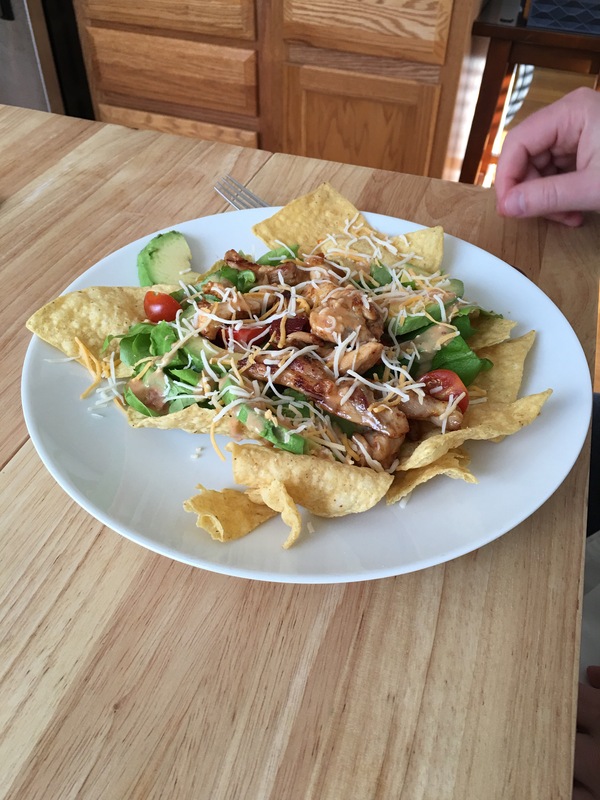 They are really as good as they look- now that’s a plate of nachos! One of us added cheese! 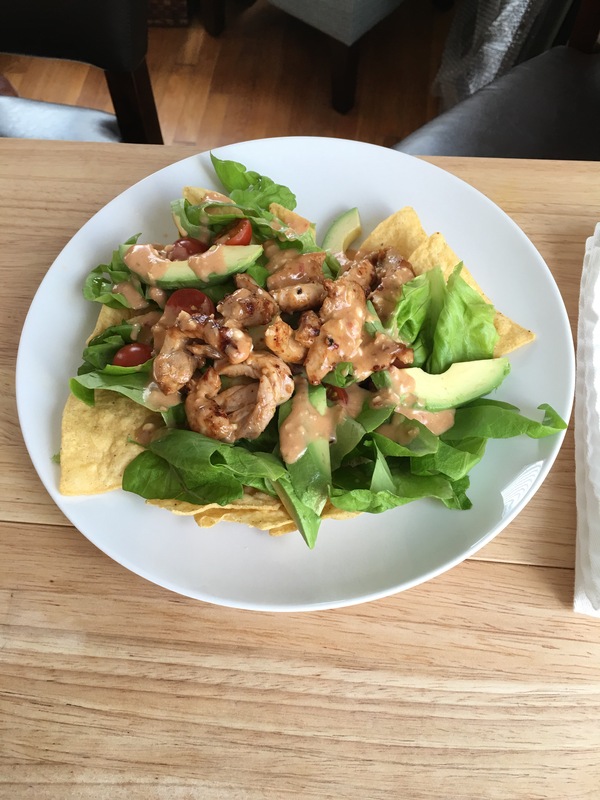 I tried to get the perfect combination of chip, chicken, tomato half, lettuce and avocado in every bite!